Whisk mustard, oil and vinegar together in a bowl; season to taste with salt and pepper. 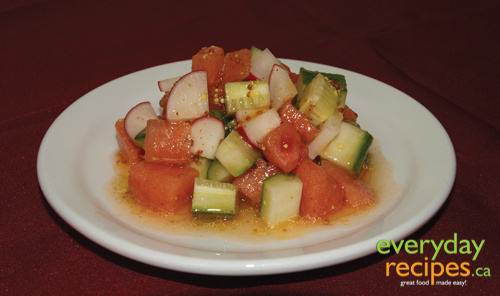 Add watermelon, cucumber and radish. Toss and serve on lettuce leaves.